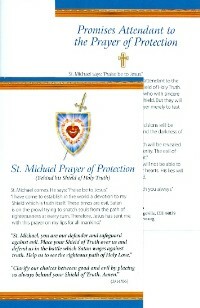 Prayer Card: "St. Michael Prayer of Protection" 10 Pack. Prayer Card: Shield of St. Michael 10 Pack. 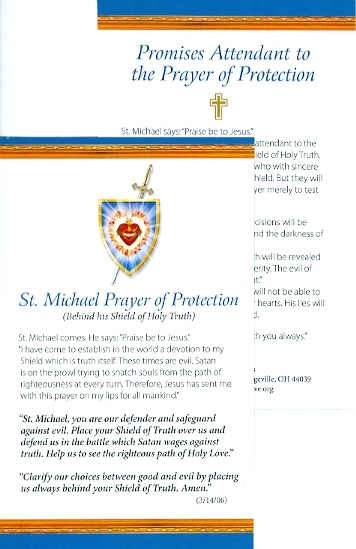 The front of the prayer card shows the image of the Shield of St. Michael with a very powerful prayer called St. Michael Prayer of Protection. Cardstock, two-sided. Pack of 10 cards.